Pasi - Welcome aboard with your Hs-126. Those were used in WW2 also. How is the ICM kit? Robert - Your Panzer I should be just right for our SCW campaign. 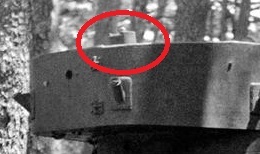 Does the kit have SCW markings or will you have to find them elsewhere? I broached the box on the Hobby Boss T-26 last night. The tracks are indy links with pins. I hope they are working tracks. We might not need the Fruils. I will either be painting them or purchasing a set. I do have some good reference pics. Very good. I saw some nice pics & illustrations in the Vanguard book on SCW armor. Ok so I started with( pretty obviously) with step 1! Not much to that except making sure all the holes get drilled in the right places! Pic for discussion purposes only! On the other hand the plastic is brittle, and I broke three of four engine supports (N shaped thin parts). Not really an issue, because those are hidden and can easily be replaced by a length of pipe. 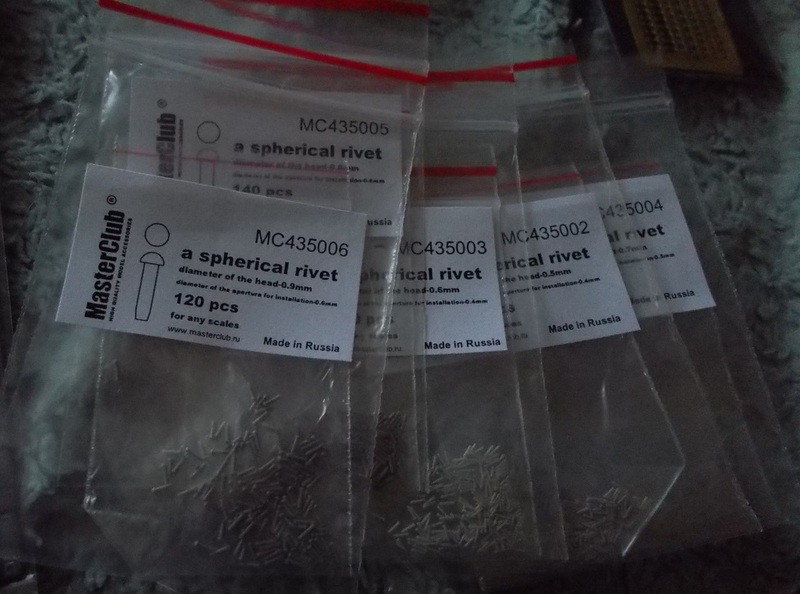 I think I'll brush liquid cement on other thin parts before removing them from sprue (hoping it will fix any small cracks that could lead to breakage). And did bit of reading. There were six or seven Hs-126s in Legion Condor. They performed well (in recce and artillery spotting role), and remaining five were handed over to Spain when Germans pulled out. They remained on production until 1941, until they were deemed unsuitable for combat operations in face of enemy fighter presence. 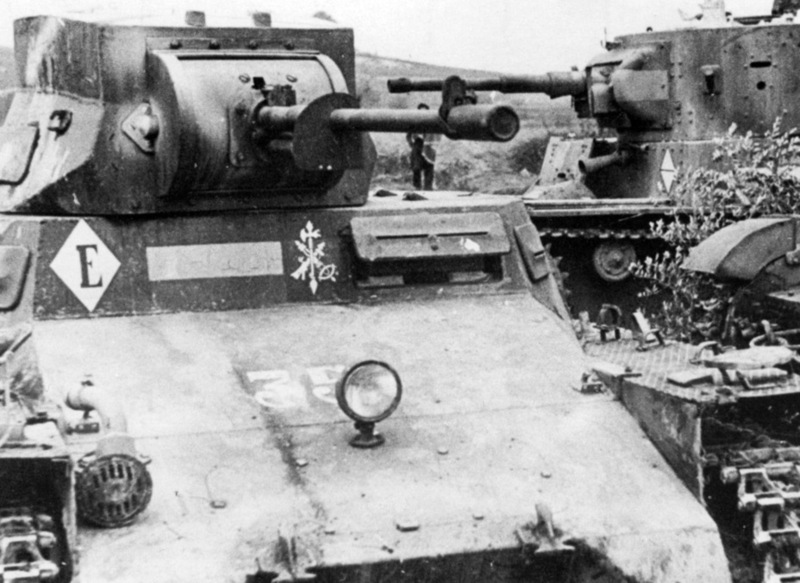 But basically they seemed to be an effective in the role they were designed for, and suffered only light losses. Very nice. I love the detail. I'm looking forward to seeing more. I always like the subjects that are not done as often. 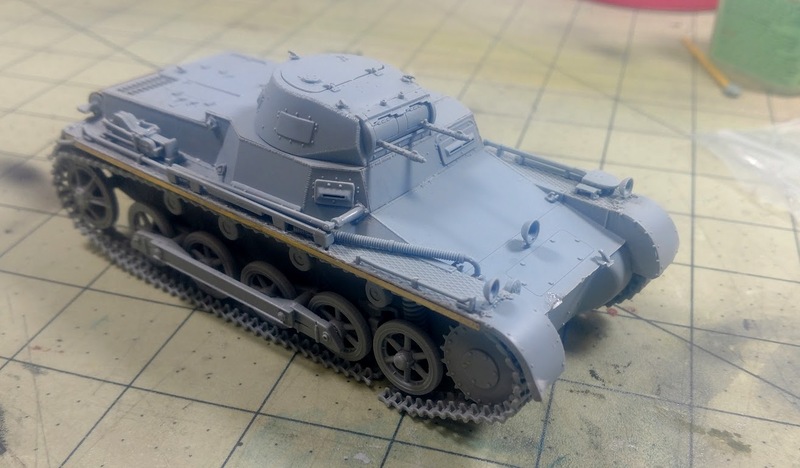 I'm waiting for the primer coat on my 'Night Shift' campaign entry to dry, so I started my Pz I. I got the fender brass and the running gear done. Of course per normal the wheels are not glued in place to facilitate painting and track placement. 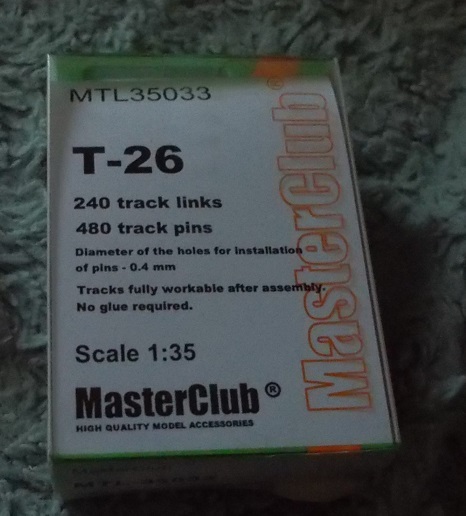 Speaking of tracks, the kit comes with individual link tracks. That's what I will tackle next so I can see how it will fit as I move on with the build . I don't wont to glue myself in to a corner so to speak. Late start but I have opened a box and got some plastic cut! 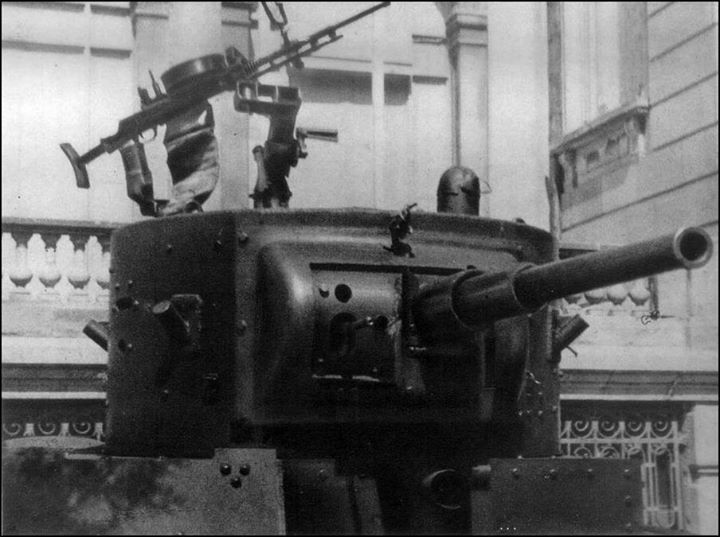 I shall attempt to build the Pz I A "Breda", not the Hipm or Masterbox, but a converted turret on the top of a series 3 Pz IA. Time to check references and see which will be the best option. Nice start here guys! I will select my kit (or kits!) 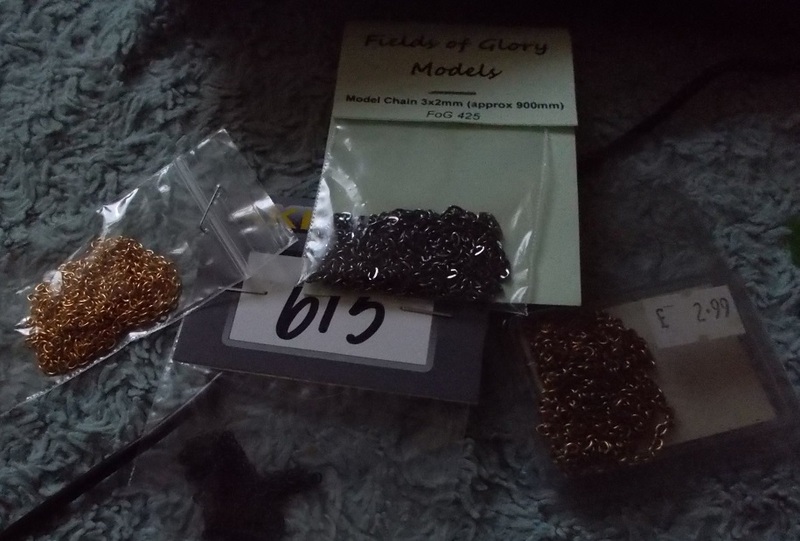 for this one once I'm all done for Telford (IPMS SMW), it's all go for that show at the minute. Steve - Three kits to choose from would confuse me. How will you decide which is best for the SCW? I have the middle kit kicking around someplace in the stacks . . .
Robert - You are a fast worker! 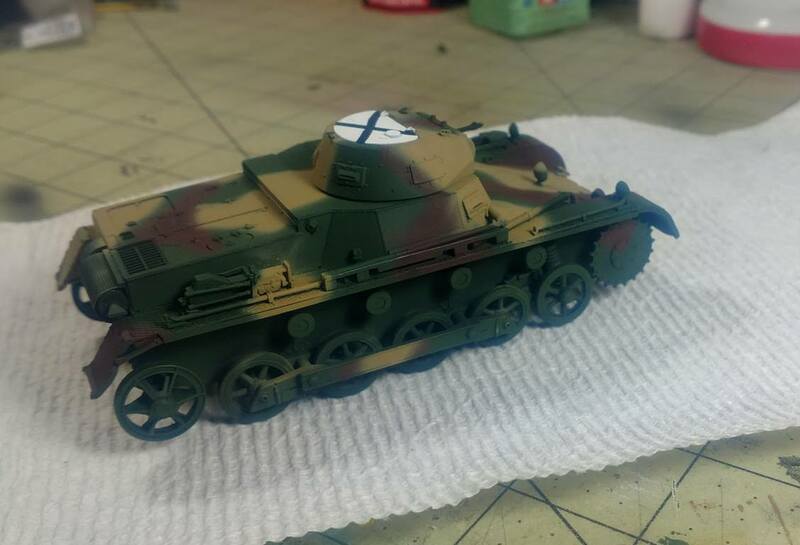 The Panzer 1 is looking good. After a brief look around I decided I needed a bunch more bits before I get too far into this one. Chain (assorted sizes so I can find a reasonable size match to the pictures I have). Aber Wing nuts. Seems there are a bunch of places I need some of those. 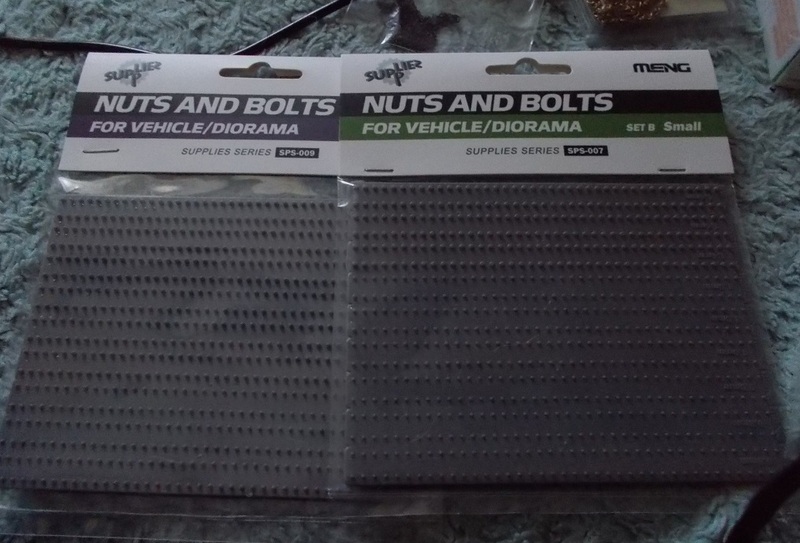 Hopefully that's all I need in the way of extras I needed so I might be able to get on with it now. P.s. I found a pic which answered my query into the aerial situation. 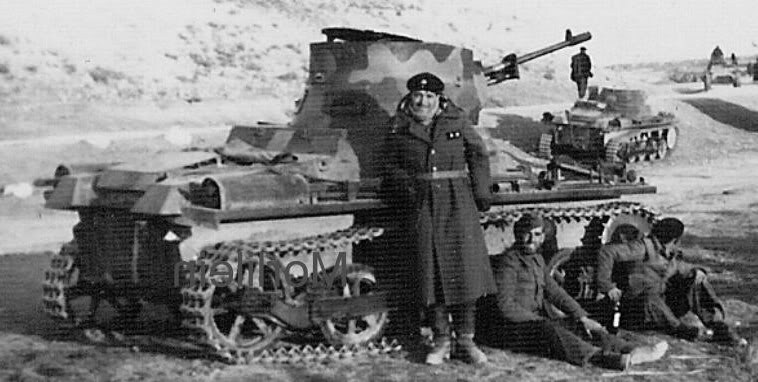 Apart from an obsessive interest in Panzer I's, a decent photo, and as there were only 4 Breda conversions? 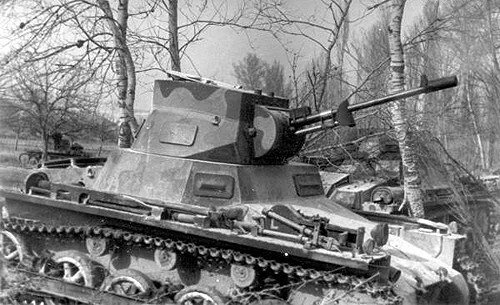 supposedly, there are some decent photos on the Web, a good reference book, and there are dozens, but in this case the Panzer tracts No. I-I, is excellent. 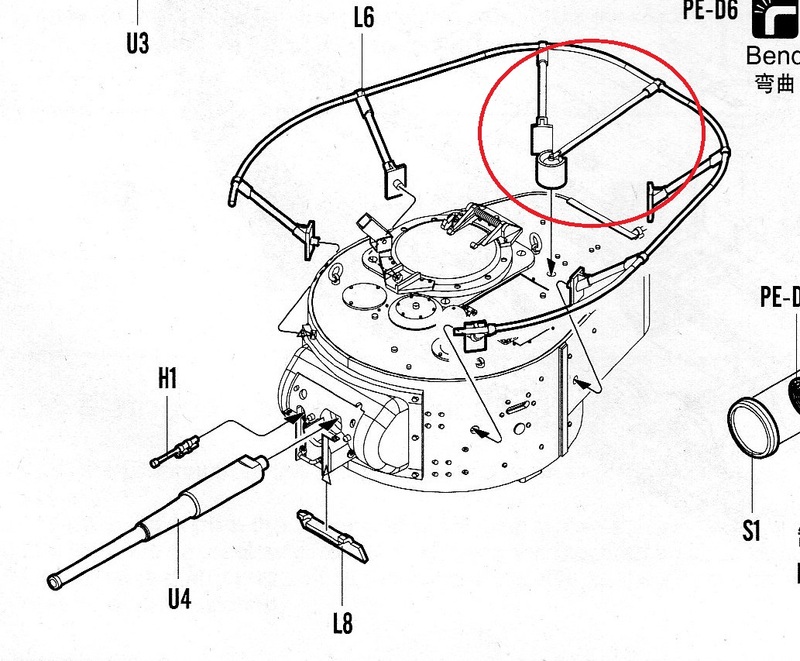 shows some of the series 3 adjustments, wire cutters attached to the jack, rear nearside vision plate blocked off. Larger glacis access plate with added lifting tab, and a Bosch horn. All the above are listed on page 66, as features of the series 3 Pz IA. The Tristar has 4 fuel filler caps, but as they are molded on, 2 can be filled and sanded off, to finish the conversion back to a series 3, as the 4 filler cap were a series 4 upgrade. There are a few other bits to deal with, but you get the idea. Paul - I see you circled an area in the picture. What did it tell you? Steve - Those pictures will be a real aid in your conversion. Very clear! I have been looking for that darned Zvezda BT-5 kit that I squirreled away someplace good and secure. I REALLY want to build one after reading the book of armor of the Spanish Civil War. 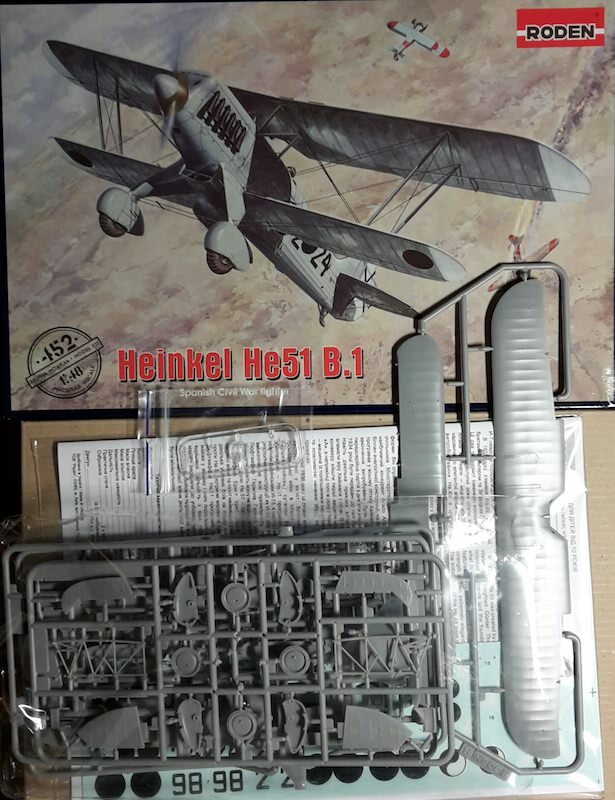 I just ordered an Italeri version of the kit on Ebay and it will be here in a few days. Are there any decal sets available for the SCW BT-5s? If not, possibly something might be made up from the T-26 set and bits & pieces from the Decal Dungeon. I got the base coat on but it still needs bit of touch-up here and there. 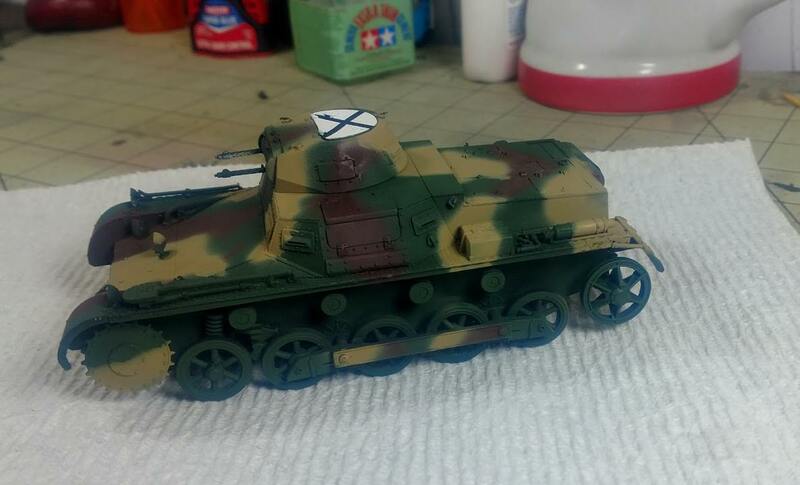 I still have to paint the tracks, and I have only glued the figure together; so there is still a ways to go. I'll have to make restart with a different model. I messed up mounting up the wing struts, not model's fault this time... By the way, the liquid cement trick solved the issue with fragile thin parts. Looking good Robert! What colors did you use? The He51 is a long time fav of mine. 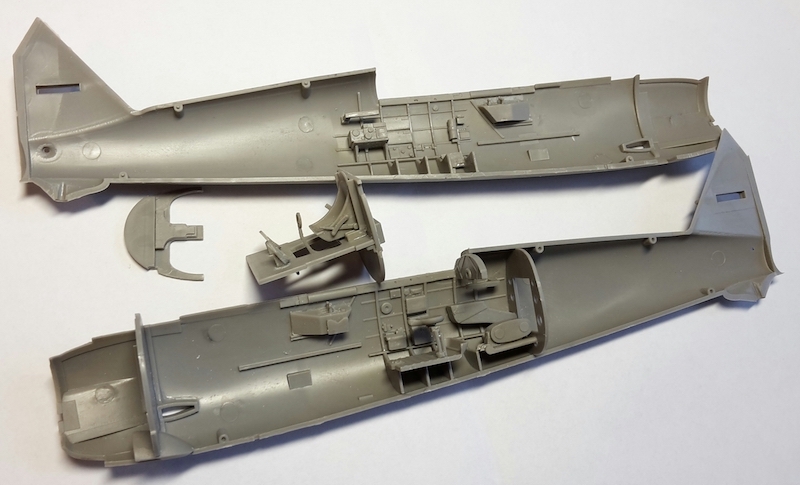 I have several of the old limited edition kits that Squadron used to market in 1/48 that have not made it to the build stage yet. I look forward to seeing how yours comes out. Tamiya XF-26 Deep Green, XF-10 Flat Brown, and XF-60 Dark Yellow. I'll have to post a pic but I have the all of basic paint job finshed, including the tracks, and have started painting the fig. I still have do the weathering and finish the fig. I'm also planning to do a base for it.